Interpretive Exhibits, Educational Programs/Publications | Historical Perspectives, Inc.
Increasingly, review agencies are requesting an educational or outreach compliance prior to approving impacts to cultural resources. HPI can design and implement any required educational component – large or small. HPI has created interpretive panels (Roundhouse, Willis Avenue Bridge, Swing Bridges), museum displays, brochures, and educational programs that celebrate cultural resources and satisfy review agency requirements. 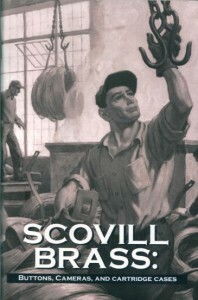 Section 106 mitigation projects for private development have included a booklet on Connecticut industrial complexes, Scovill Brass: Buttons, Cameras, and Cartridge Cases; and Yale and Towne: A Photographic Essay. Similarly, Section 106 mitigation projects for public properties have included exhibit panels and an exhibit brochure for Metro-North Rail Road at the historic Poughkeepsie Train Station and the publication of Fort Trumbull: Ramparts, Subs, and Sonar during the U.S. Navy’s de-accession of a nineteenth century coastal fortification. HPI has completed five comprehensive educational booklets on Connecticut’s State Archaeological Preserves. HPI was responsible for establishing the well-received format for these large and attractive publications.